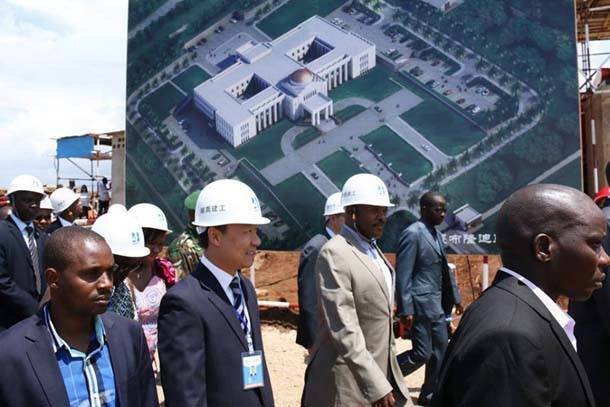 Four years after the launch of construction, China has presented the 150 million Yuan (US$22 million) presidential palace it built for Burundi as a gift to seal its diplomatic relations with the East African country. Burundian president Pierre Nkurunziza at the launch of the construction of the presidential palace in December 2015. 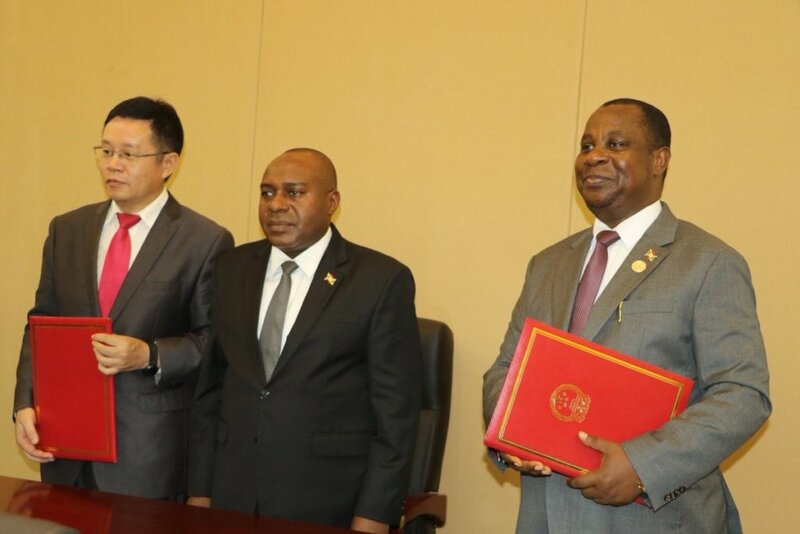 The Ambassador of China to Burundi, Li Changli, handed over the new building located in Gasenyi in the north of the capital Bujumbura on Feb. 14 to Ezechiel Nibigira, Burundi’s Foreign Affairs Minister. “It is a symbol of friendship and cooperation between China and Burundi,” said the Chinese ambassador who described the project as the “greatest project” that China has ever carried out in Burundi, reports local media IWACU Burundi. The presidential palace was built on a 10,000 square meters land and has several facilities on its premises including circular roads, car parks, and sewer systems. It will host the presidency including the main offices of the president, two vice-presidents and their staff, conference rooms and space for official ceremonies, confirms Foreign Affairs Minister Nibigira. “Since the independence of Burundi, we have not had such a building. We thank the government of the Republic of China for it,” he added. 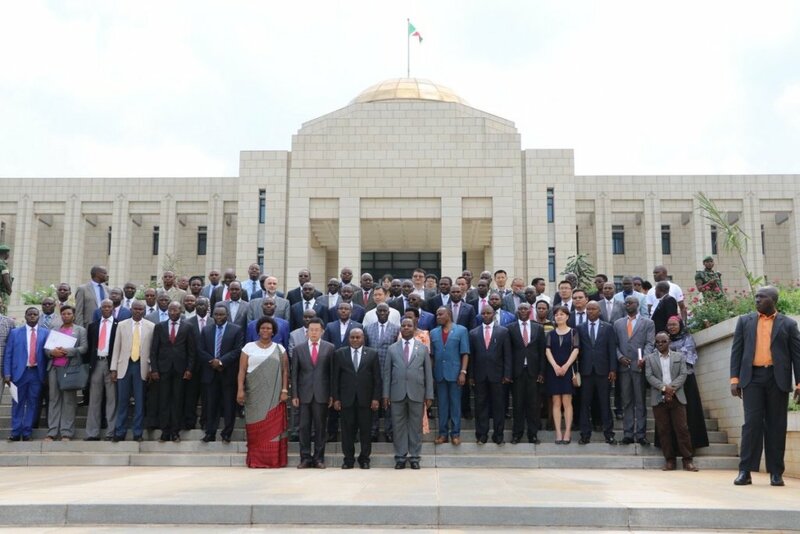 Handing over of the presidential palace to the Burundian government. Burundi’s new presidential palace is one of the many Chinese gifts donated to African nations to strengthen bilateral relations. China built the $200 million African Union headquarters in Addis Ababa, Ethiopia in 2012 at no cost to the continental body. The Asian country also signed an agreement to build the headquarters of the West African regional bloc ECOWAS with a grant of $31.6 million. China recently offered $6 million to Ethiopia to launch its first satellite into space in September 2019. It will also provide training before the launch of the satellite which will be done from China. Senegal will open the world’s largest museum of black civilization on December 6 in the capital, Dakar, after 52 years of waiting due to lack of funding. China donated $34.6 million for the dream of the country’s first president, Leopold Sedar Senghor, to come into fruition. China is also building new parliament houses for Zimbabwe, Republic of Congo and Gabon.